Volunteer enforcement officers have been suggested as a possible solution to the issue of littering and dog fouling in Flintshire. It comes as backbench politicians have backed proposals for Flintshire Council to increase the number of staff it employs to hand out fines in the wake of the departure of a controversial private firm. Kingdom Services withdrew from the county in August after the local authority’s cabinet voted to end its contract following accusations of ‘heavy-handed’ tactics. 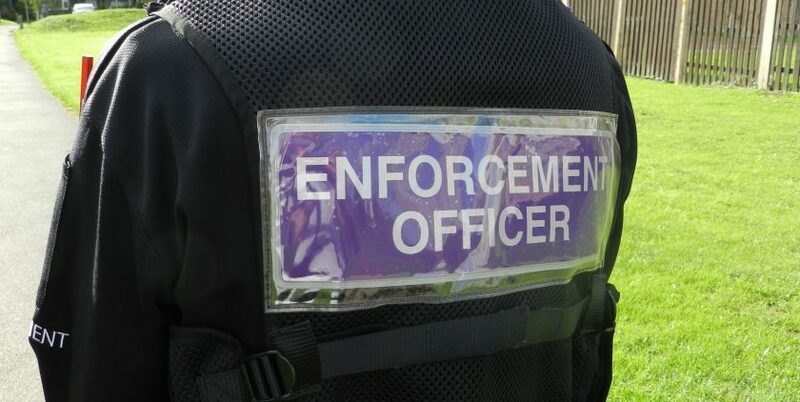 The council’s own staff are now responsible for handing out the £75 fixed penalty notices and it is looking to boost the number of officers from seven to nine at a cost of about £60,000. However, Connah’s Quay Golftyn councillor Paul Shotton questioned whether more manpower was needed to tackle the problem properly. Speaking at an environment scrutiny committee meeting today, he said: “This has been a very contentious issue over the last few years. “You say that there would be an additional two officers, but I don’t think it’s enough to cover the areas and volunteering was a theme that we had earlier. “I’ve done a number of litter picks in my area and I know a number of other councillors have in their areas. In response Cllr Carolyn Thomas, Flintshire’s cabinet member for Streetscene and countryside, said there were a large number of services provided by officers which could prove difficult for volunteers. Cllr Thomas also highlighted abuse directed towards staff responsible for enforcing parking schemes outside schools as another potential sticking point. She said: “Enforcement officers have to deal with a wide range of issues, such as fly tipping and side waste, as well as bringing in community safety schemes at schools. “Lately I’m having contact from headteachers and residents of people who are ignoring these safety scheme and parking outside schools. “People are giving abuse to headteachers and they’re going out instead of putting their staff at risk. Cllr Veronica Gay asked whether a pilot scheme could be launched where town and community councils could pay to employ enforcement officers for their individual areas. The committee decided it was an option which should be explored. Officers also said informal talks had been held with other local authorities about setting up a regional enforcement team. Cllr Sean Bibby said it was important that the council increased its own staff in the meantime. “I think we need to bite the bullet,” he said. “There’s a cost implication, but the problem we’ve got is we only have seven officers for a county with a population of 154,000 people. “Anything that’s going to increase boots on the ground is going to improve the situation and increase the revenue. The majority of councillors backed the proposals to increase staff numbers, and were told the cost would partly be offset by the money generated in fines. They also chose to remove the suggestion for the authority to adopt a ‘zero-tolerance’ approach to enforcement in light of the problems faced with Kingdom. The changes will be considered by cabinet members at a later date.